Restaurant Grease Spill Clean-ups - Pro Wash LLC. What comes to the mind when we hear the word restaurant? The answer is simple – FOOD! A restaurant offers you the opportunity to enjoy a meal or drink while having a view of the environment. They provide a space where we can chill out and release stress gathered up through the day. Yeah, a restaurant is an excellent place, and though demanding, managing a restaurant has its perks especially if you love when people eat the delicacies which are a result of your efforts with smiles on their faces. But what happens when there is an emergency? What happens when there is a fire outbreak or a grease spill? This can be a devastating occurrence. Restaurants that are clean, healthy and well structured are a few reasons why customers come in more and more. The occurrence of an emergency can be a major drawback in your business for a while. Is there a way to avoid this and if it has occurred already, what remedies are there to handle the problem correctly? It may surprise you that grease spills alone could be the difference between more and less revenue. A widely recognized waste item from restaurants is grease. The mix of cooking oils, animal fats, and the like are delivered in critical amounts from food preparation, cooking, and waste removal. Oil can be a significant issue in the sewer of restaurants and seepage frameworks, developing rapidly and causing a real clog that can be hard to remove entirely. More terrible, abundant oil can be a fire risk. Grease can make the difference between a very comfortable and welcoming restaurant to a not-so comfortable-one. Those were quite some reasons why you should get that grease off your restaurant. Other issues like fire stains as a result of an outbreak can also be a significant problem. Since no operator wants a fire outbreak in their restaurant, the smallest of it may leave marks or damages that reduce the magnificence of your restaurant. A fire outbreak can result in loss of properties, affect building coloration, and leave stains on walls and so on. Most fire hazards in the restaurant are caused by the presence of excess oil or grease which is let to spill. Some other reasons may be electrical related. Whichever it is, you sure do need professional cleaning services after a fire outbreak to get your facility back in shape. goes into another restaurant and comes out with an unsatisfactory look. Most times, it is those little stains that make the difference. ProWash Nashville is a company dedicated to providing you with unparalleled cleaning services for your restaurant in case of an emergency such as a fire or a grease spill and the like. With experience gathered from working with different clients, you can be assured that your restaurant will receive a skillful touch that removes all signs of an emergency and gets it as right as new. Providing professional services require more than knowing cleaning machines. It demands experience and skill. At ProWash we have all that it takes to provide the best emergency cleaning service for your restaurant. We focus our approach to meet the intrinsic need of your restaurant. This has made us a reputable emergency cleaning company in Nashville. A popular trend for some businesses is to promise and only go halfway. However, with Pro Wash, LLC there is a difference. We guarantee what we do, and we do what we promise! 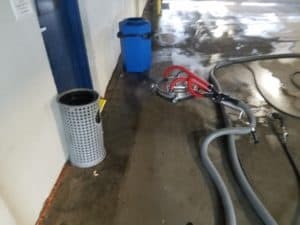 Our services include commercial pressure washing where we take into account every detail of your commercial property and offer our service based on that knowledge. We also provide in-depth cleaning services all to prevent safety hazards.